May 19 through October 28, 2018. The New York Botanical Garden’s landmark 2018 exhibition, Georgia O’Keeffe: Visions of Hawai‘i, will focus on the iconic artist’s immersion in the Hawaiian Islands in 1939. Exhibition visitors will experience a lush flower show in the Garden’s Enid A. Haupt Conservatory evoking the gardens and landscapes that inspired O’Keeffe as well as the complex story of the flora and unique ecology of Hawai‘i. Curated by art historian Theresa Papanikolas, Ph.D., Deputy Director of Art and Programs at the Honolulu Museum of Art, the exhibition will feature 20 of O’Keeffe’s depictions of Hawai‘i—including paintings not seen together in New York since their 1940 debut. Visitors of all ages will learn about Hawai‘i through complementary events, programs, and demonstrations, including a film series, symposium, lecture, and the Interactive Mobile Guide. In 1939, at the age of 51, O’Keeffe accepted a commission from the Hawaiian Pineapple Company to produce two paintings for advertising campaigns. 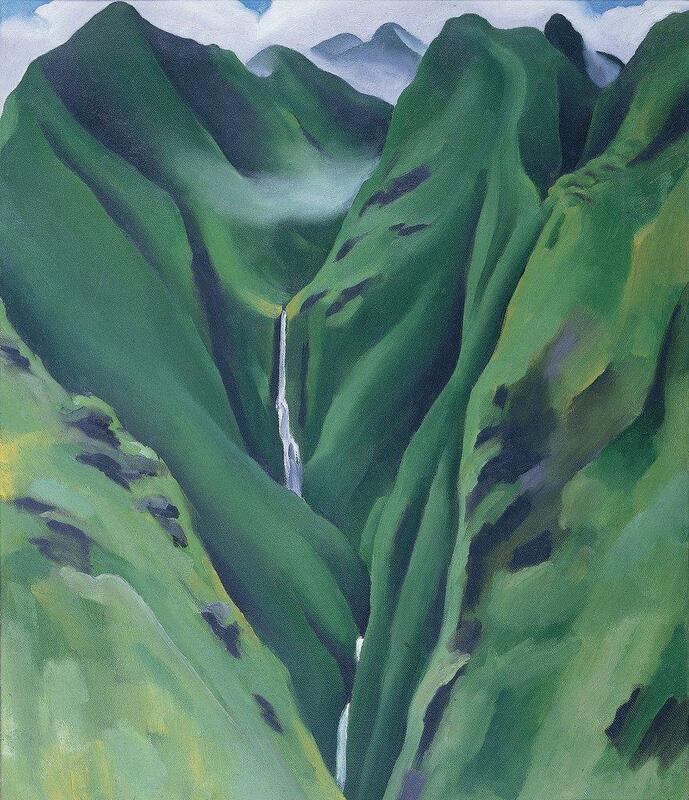 Her nine-week immersion in the Hawaiian landscape resulted in more than 20 paintings, including stunning views of mountains and waterfalls and her signature close-cropped views of flowers and plants she encountered during her time on the islands of Hawai‘i, Kauai, Maui, and Oahu. At the time of her trip, O’Keeffe was among the most famous artists in the United States, best known for her depictions of the stark landscape and desert flora of her beloved New Mexico. 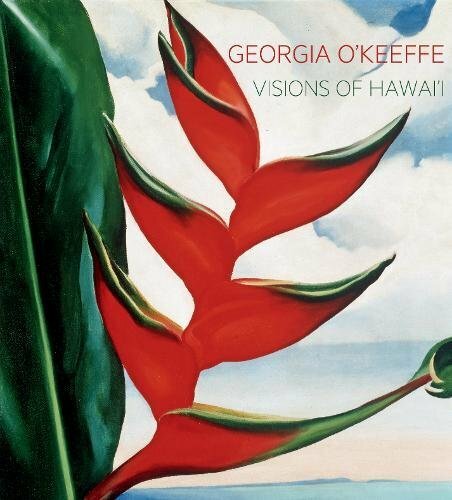 Georgia O’Keeffe: Visions of Hawai‘i, will explore this lesser-known chapter in her career, the enduring cultural impact of mid-century perceptions of Hawai‘i, and the ecological complexity of the Hawaiian Islands—one of the most biologically diverse places on Earth—hidden behind O’Keeffe’s depictions. 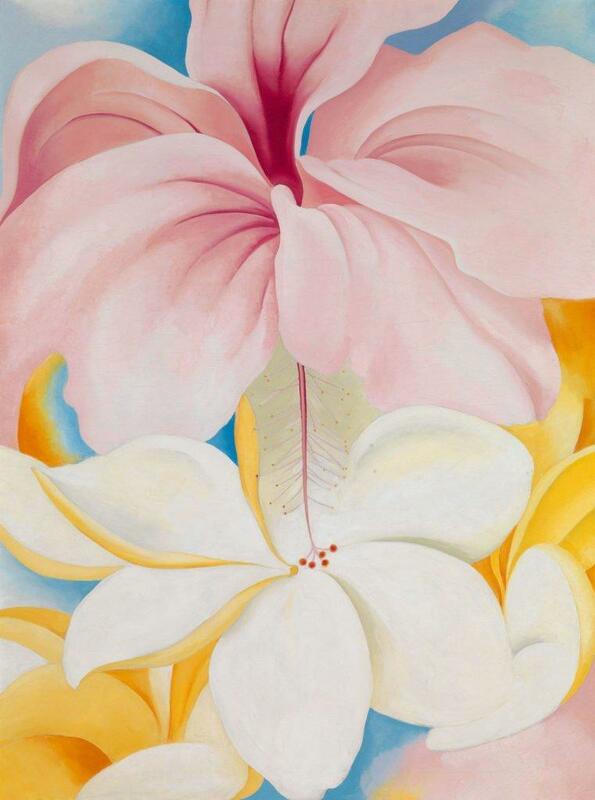 Integrating art, horticulture, and historical interpretation, the exhibition will explore the Hawai‘i that O’Keeffe encountered and also reveal the complex history of the plants and the Islands that she was not familiar with at the time. The Enid A. Haupt Conservatory will feature the remarkable beauty and richness of Hawai‘i’s wild and cultivated flora. Featuring plantings designed by Francisca Coelho and set pieces designed byTony Award-winning set designer Scott Pask, the exhibition will also introduce visitors to the profound importance of plants in Hawaiian culture and growing concerns about threats to native Hawaiian plants. The centerpiece will be long borders of colorful tropical garden plants such as those Georgia O’Keeffe encountered and painted while in Hawai‘i. These borders will burst with the dazzling flowers of ti, frangipani, bougainvillea, heliconia, hibiscus, bird of paradise, ginger, and many more tropical favorites. Beyond the borders, planting beds arranged around a hale, an open-sided thatched-roof pavilion inspired by traditional Hawaiian architecture, will tell the story of canoe plants—useful plants brought to the Islands 1,700 years ago by Polynesian settlers. Vignettes featuring native Hawaiian plants will teach visitors about modern efforts to preserve Hawai‘i’s imperiled flora. 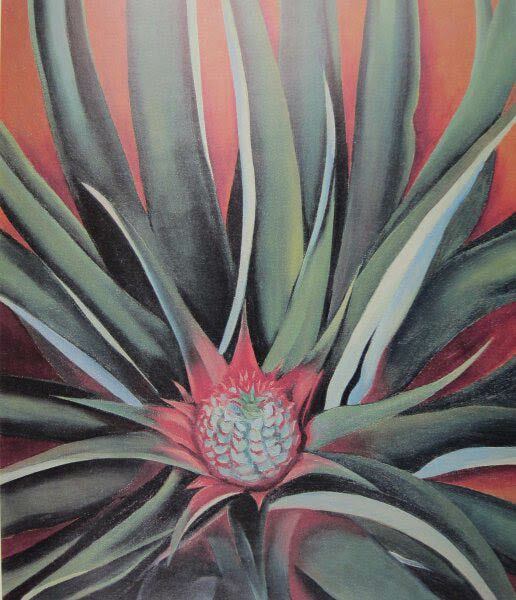 A stunning display in the LuEsther T. Mertz Library Art Gallery will offer a rare focus on Georgia O’Keeffe’s works of art created during a nine-week sojourn commissioned by the Hawaiian Pineapple Company in 1939. Her works depicting Hawaiian subjects garnered critical and popular attention when they were exhibited at Alfred Stieglitz’s (1864–1946) An American Place gallery in 1940. 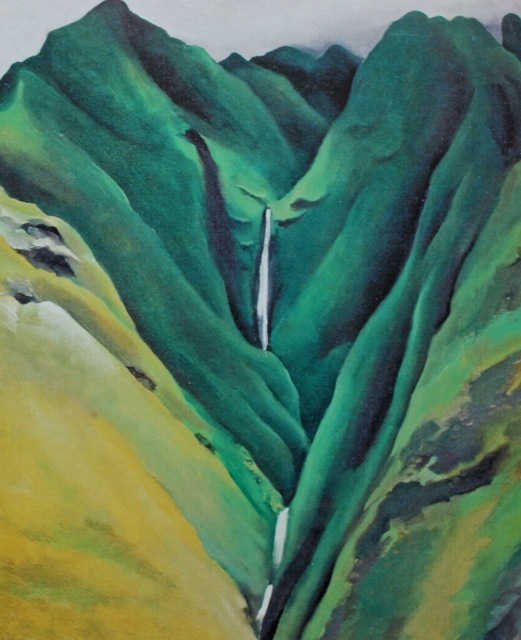 Georgia O’Keeffe’s Waterfall, No. I, ‘Īao Valley, Maui (1939). Image courtesy of the Memphis Brooks Museum of Art, Memphis, Tennessee © 2018 Georgia O’Keeffe Museum/Artists Rights Society (ARS), New York. and a collection of landscape paintings depicting Maui’s interior ‘Īao Valley and lava-studded shorelines (loaned by the Honolulu Museum of Art). The exhibition catalog explores this little-known chapter in the artist’s career. 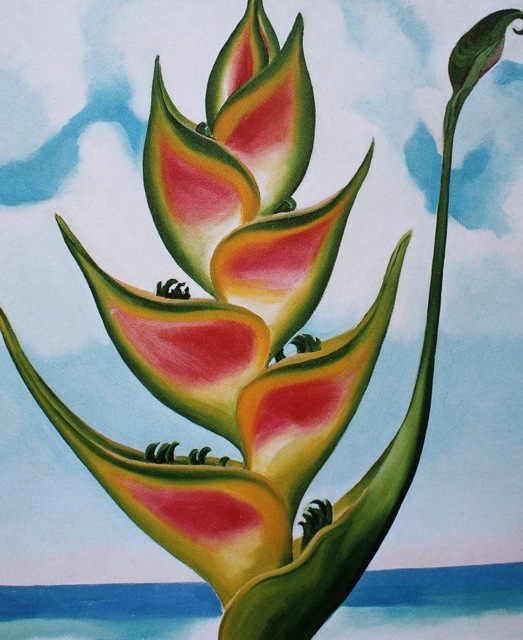 Glowing with color, O’Keeffe’s Hawai‘i pictures demonstrate her unique ability to make every place she painted her own. 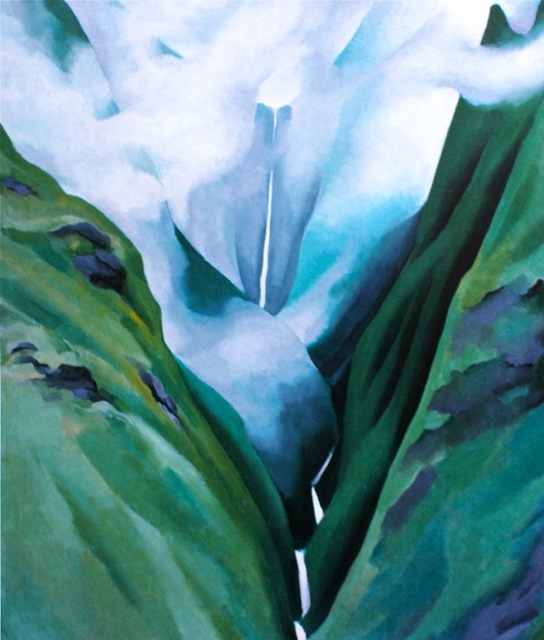 This publication offers a new perspective on O’Keeffe’s work from Hawai‘i by examining the ecological complexity of the Hawaiian Islands—one of the most biologically diverse places on Earth—alongside her works of art. American modernist Georgia O’Keeffe (1887–1986) conveyed a distinct sense of place with innovative depictions of her surroundings, from stark New Mexican landscapes to abstract New York cityscapes. Her interest in depicting local landscapes through modern art techniques was grounded in an American tradition that dated to the 19th-century Hudson River School painters. 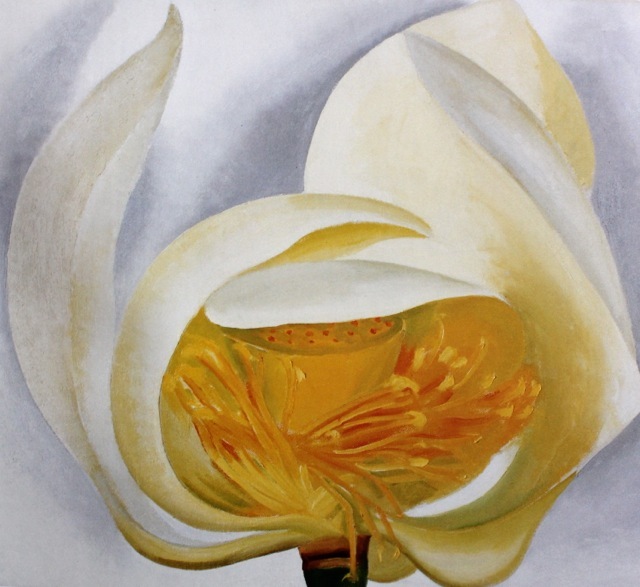 Flowers and plants were also subjects that engaged O’Keeffe consistently throughout her career, and these iconic images are celebrated for their bold use of color, form, and scale. O’Keeffe’s time in Hawai‘i, and the work that was produced there, is less well known than her iconic New Mexico scenes, and it is not a place with which she is often associated. However, close study of the work and her correspondence during her trip reveals a deep appreciation for the beauty of the Islands and a fascination with the landscape she encountered. This engagement with a new place—and use of her familiar compositional techniques—shows extraordinary continuity with the rest of her large body of work. 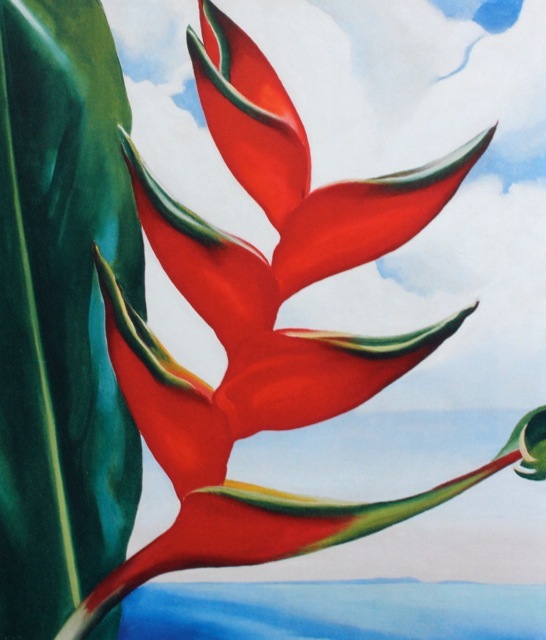 O’Keeffe’s experience in Hawai‘i is representative of the significance of the Territory in the American consciousness as tourism boomed and Hawai‘i approached statehood. While O’Keeffe’s correspondence from this period reflects the perspective of a visitor who was steeped in popular perceptions of the Islands as an idealized tropical paradise, her paintings masterfully depict the Islands’ unique natural settings and serve as a compelling starting point to examine the transformation of the Hawaiian landscape through human and cultural influences. Georgia O’Keeffe: Visions of Hawai‘i is The New York Botanical Garden’s next installation within the ambitious exhibition program it pioneered to explore the horticultural lives of cultural figures such as Frida Kahlo, Charles Darwin, Emily Dickinson, and Claude Monet and the intersection of art and nature.